We’ll contact NGOs in Egypt working with street kids and find their needs and spread the joy between them as much as we can. NGOs include Hope Village, FACE, Banaaty, I the Egyptian. Of course other people are doing this… We wanna bring them all together to its not for a certain charity or for a certain country and not run by a certain group of people… The dream is to set up something so random and ad hoc so that people can just get together and do it on their own when they can or want to, no rules, no nothing – just getting stuff done! – make something big out of this and speak to your local schools, churches, mosques, neighbours etc and see how they can get involved..
– tweet and Facebook everyone you know..
– email me anything you think will benefit the event and we’ll see how we can work it…. If you really want to give money because you can’t get involved any other way, please can I ask you NOT to give us money, instead, if you could pay for the boxes or shipping in your country that would be great!!! Dear Nelly, I am supporting your initiative to ease the life of street children by posting it on my FB friends and groups in Egypt. United we can! I know that alone will never find these boys . I just want a clue . If I were like Angelina Jolie or Oprah Winfrey , I certainly would go door to door asking for them . I help Brazilian children abandoned . Here in Brazil , there are many shelters and orphanages for children as Karim and Hani . Street children only those who use drugs . Brazilian orphans do not live on the street. Adopt them ? I believe that would be great but impossible. The correct thing is to help them with food, books , toys , school . I sent messages to UNICEF , Doctors without borders , NGOs , Trust Zabaleen , Egyptian embassy in Brazil , the Brazilian Embassy in Cairo … The only person who is willing to help me was you. 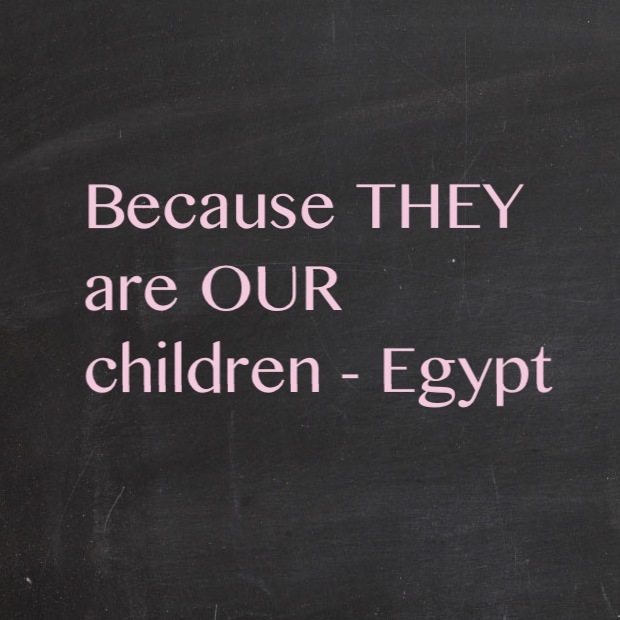 I want to help boys , even though Egyptians . I do not believe this to be a problem but a solution . If everybody helped street children in the world, would be a better world . I am not rich but I can help them a little bit. All my hope. Workshop report: Responding to uprising. Urban security between resilience and resistance. Institute of Advanced Studies, University of Birmingham.